Devotion to the holy places associated with the birth, the hidden and the public life of Christ, with his agony, passion and death, goes back to the early centuries of Christianity. Pious pilgrims loved to journey to Palestine and walk prayerfully along the road taken by Our Blessed Saviour from the court of Pontius Pilate to Calvary. In the course of time, private individuals, unable to journey to Jerusalem, represented by picture and statuary in home or garden, various incidents of Our Lord's sorrowful carrying of the Cross to Calvary. With the approval and guidance of the Church, St Leonard, by eloquent sermons, encouraged this devotional practice. 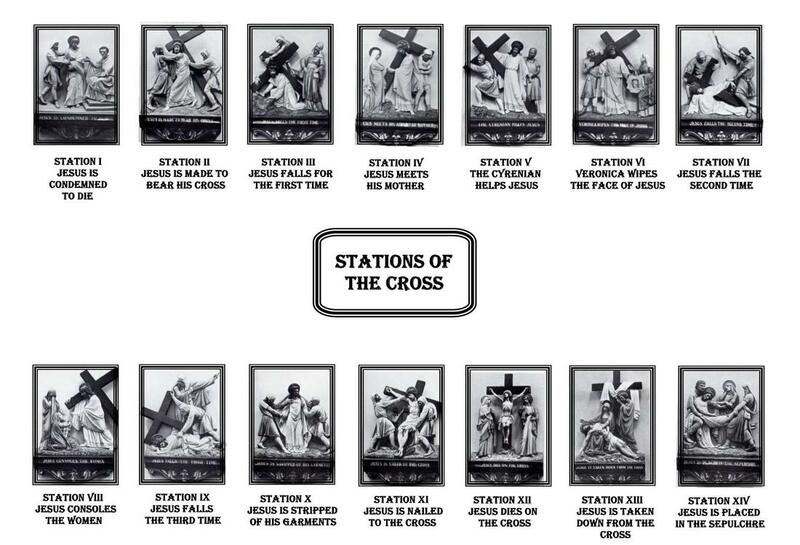 So today in every Catholic Church can be seen "Stations of the Cross" such as are reproduced on this page. Jesus our love is crucified.